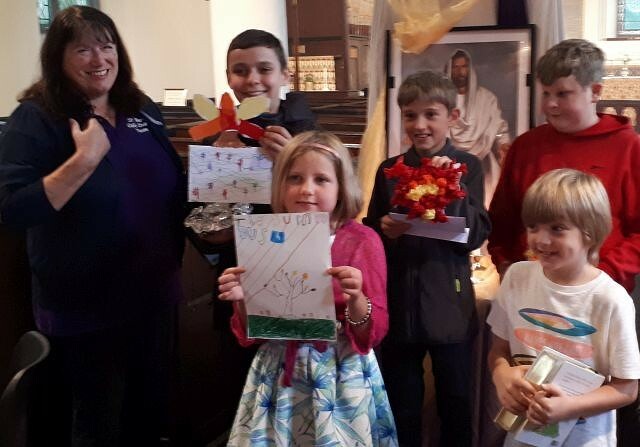 It was a full service today as we remembered Jesus’ entry into Jerusalem and we thought about how he went from Hero to crucifixion in 5 days. 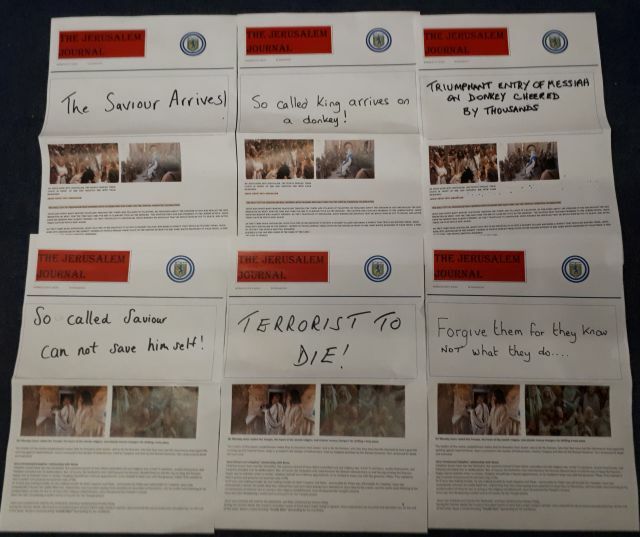 We made our own newspaper headlines for the days following the arrival in Jerusalem and the arrest and trial. 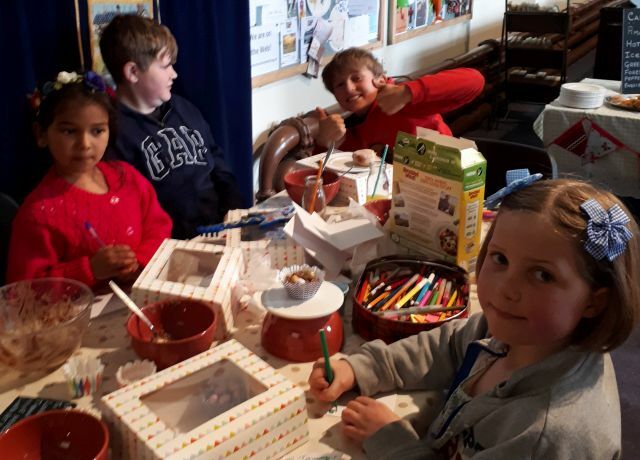 The children made their own chocolate nests full of eggs and we reviewed our Actions speak Louder than Words task list that we set ourselves last month. 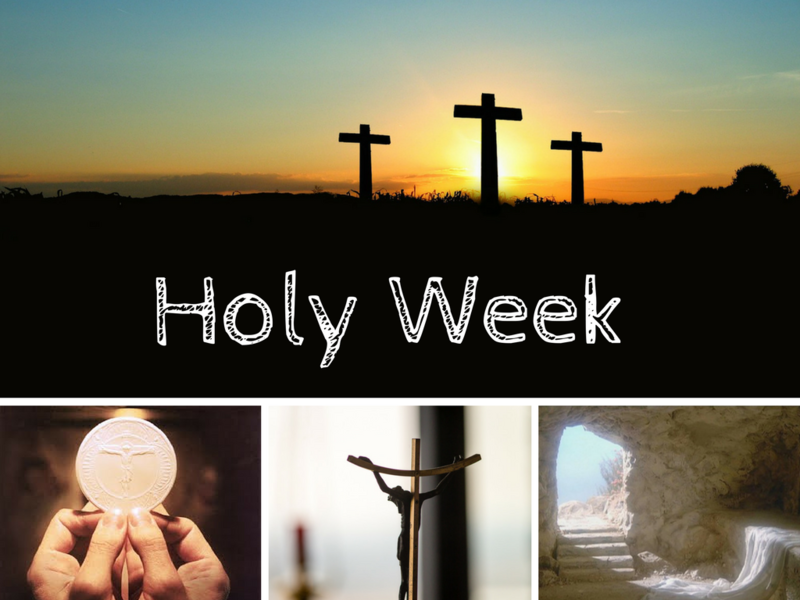 Today is the first of Holy Week and everyone took home a palm cross to remember it throughout the year ahead. 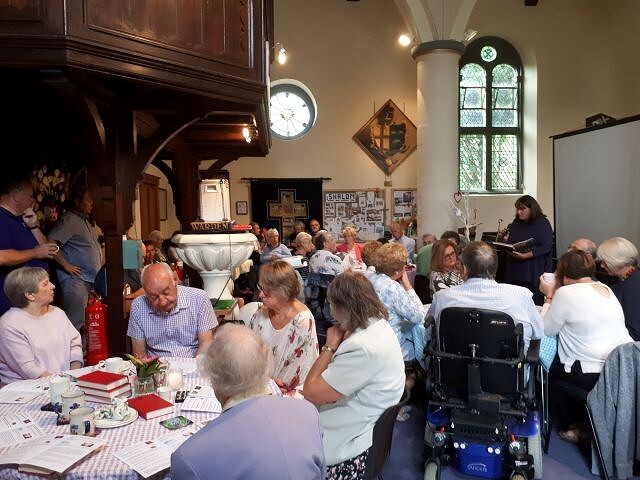 Today’s service centred around a love poem written by a lady in Wales who had given us permission to use it. It spoke of the love of God for us and the freedoms he provides and we then reflected upon this further in our hymns and prayers. 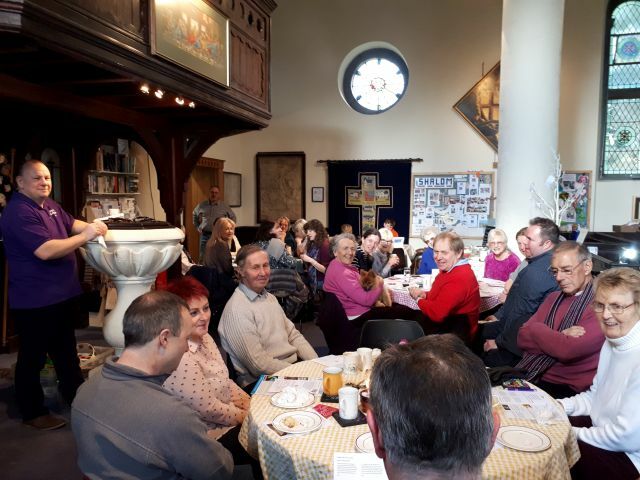 During the interval we recalled the silly love poems of our younger days and some more heart felt ones and then replenished with coffee and cake, we shared them all. Our service ended with a raucous hymn, ‘Praise him on the Trumpet’ which had every tambourine fully employed! 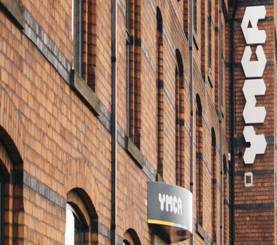 We had a visitor today, Richard Holmes, From the YMCA in Crewe. He told us of the foundation of the organisation and the work they do today, not only with young homeless men, but all people including single parent families, children and refugees. He described their plans to provide Christmas for them all and their housing facilities in Crewe. 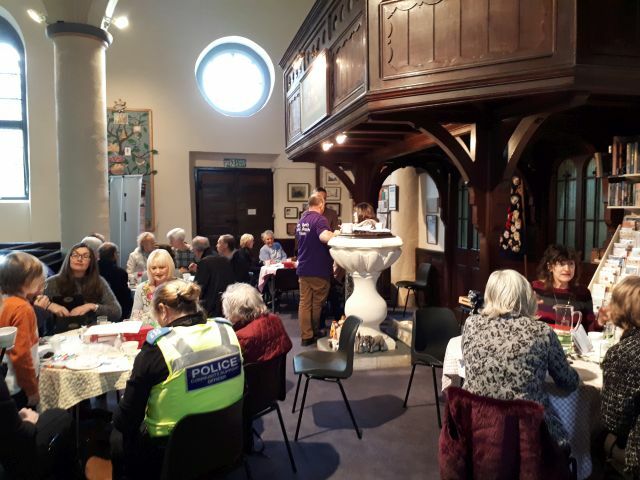 We were also told that although essentially a Christian organisation, the help they offer goes to people of all faiths and none. 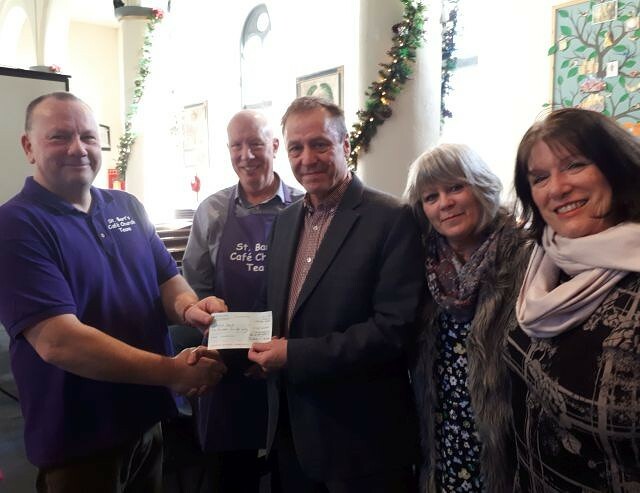 After a ‘question and answer’ session, Richard told us how we can help, with prayer as well as finance and after a hymn, prayers and The Grace, we presented him with a cheque and collection totalling £236. 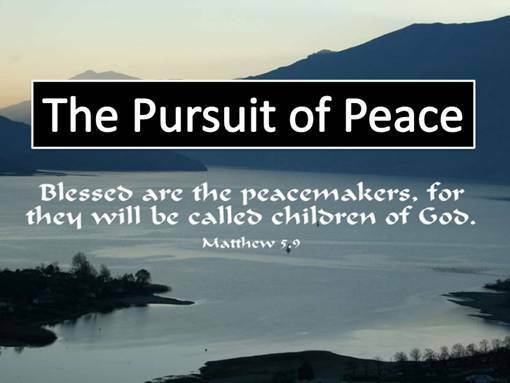 Our topic today was Peace and was inspired by an autograph book from one of our leaders. It was filled with signatures of men from the Cheshire regiments, stationed at Chester from 1914 to 1915. What they had written was very moving and the realisation that many of them never returned from the war gave them extra meaning. We heard what Jesus said and how we share the peace at our communion services. 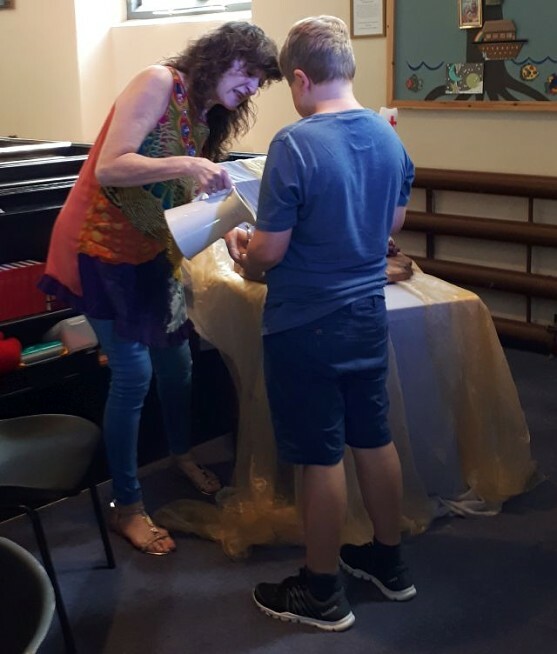 Some of the congregation shared their memorabilia and memories too before Judy played ‘Our God Reigns’ on guitar and we ended with The Grace. 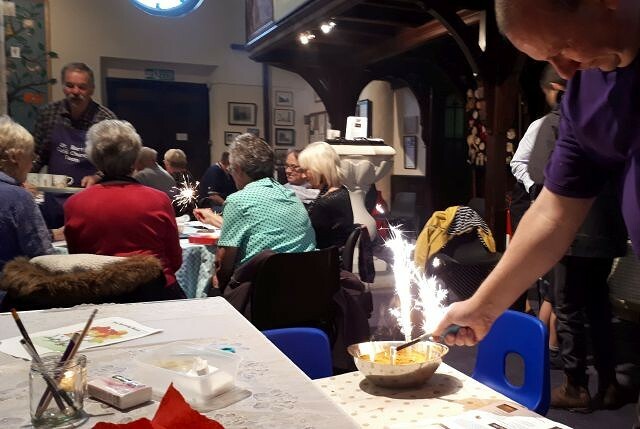 Our theme for the day was ‘Fire’ and we looked at the way the Bible relates fire to God, from Moses and the ‘Burning Bush’ to Jesus and the ‘baptism of fire and the Holy Spirit’. 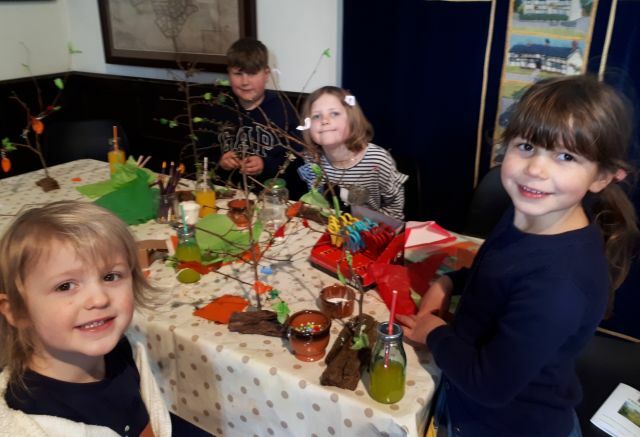 At the interval we had indoor fireworks and the children made model ‘burning bushes’. Alfie wrote a prayer and read it out and we finished with a rousing Take That and ‘Relight my Fire’. 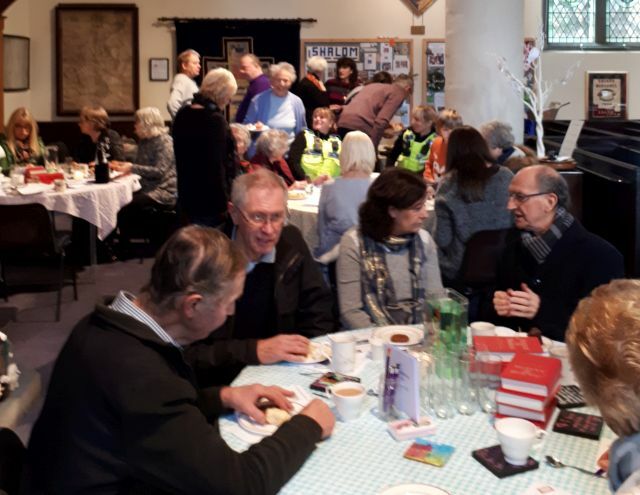 We had another well attended service for our third anniversary today and were able to welcome visitors from Germany and new residents, Helen and Keith, from Cyprus. 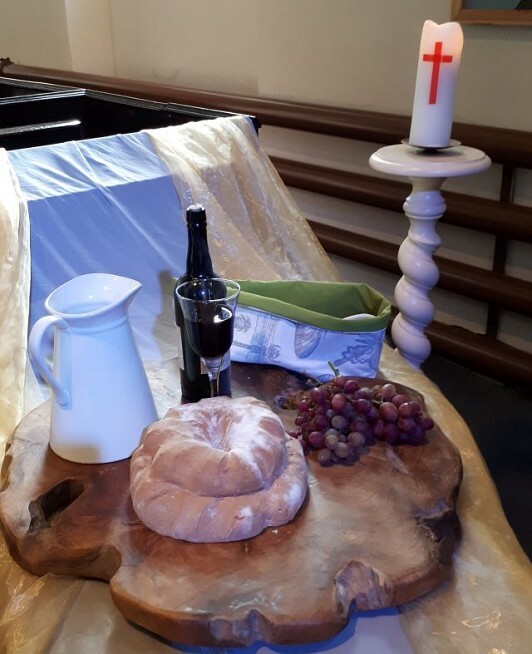 Our Subject was Bread & Wine and was about the way we celebrate with the Communion Service. 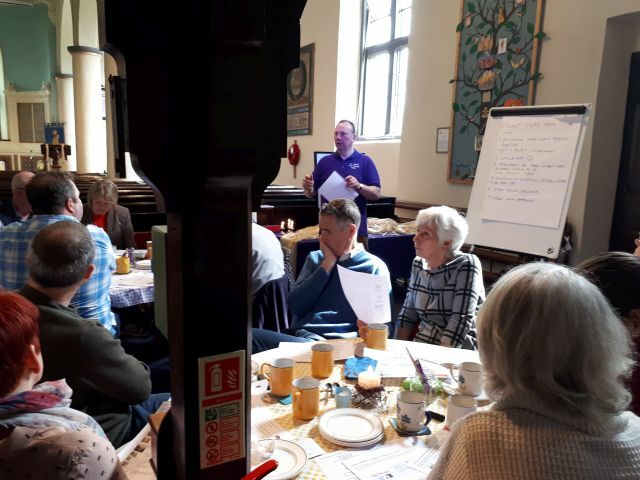 Jane and Tim talked us through the reasons we hold this form of worship and John and Judy read from the Bible, the passages where we are asked to perform the sharing of bread and wine by Jesus, in his memory. We re-enacted the sharing on each table and the children made mini Last Supper models. 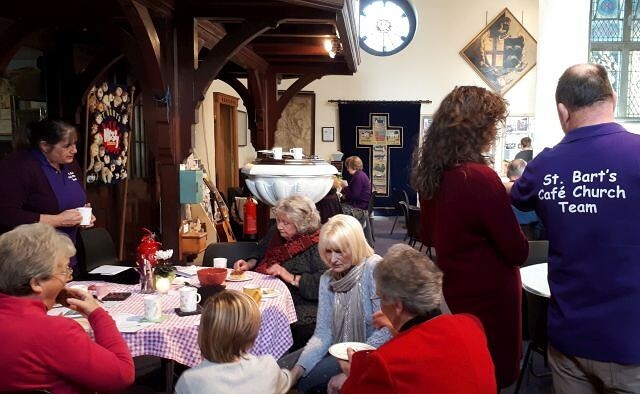 Today’s Cafe Church, was a united service for the benefice and we were delighted to welcome members from the other three churches. Our subject was a continuation of The Bible, but this time we concentrated on the 23rd Psalm, ‘The Lord’s my Shepherd’. We listened to it, sang it and learned a little about it and Jesus’ use of it. 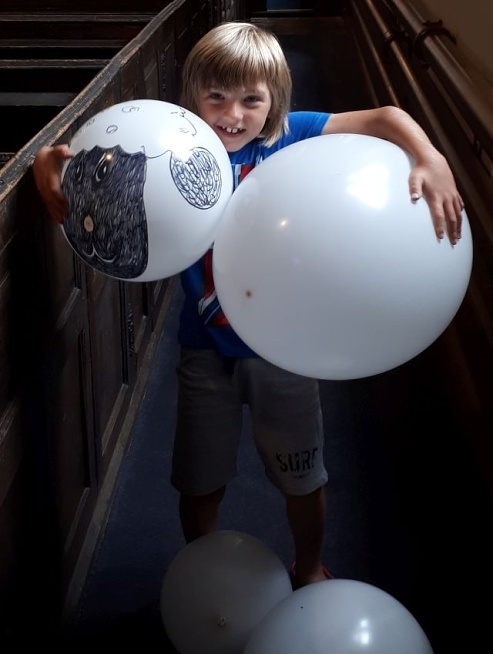 Alfie made balloon sheep and herded them round the church before we heard about The Bible Society and the story of Mary Jones from Alan. 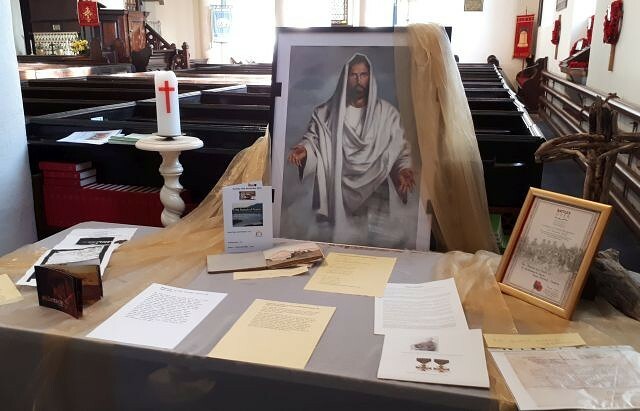 There was a film clip of Chinese people being given their first Bibles which showed how precious they are and we had a collection in aid of the society to help provide more. After prayers we finished with rousing singing of ‘Give me joy in my Heart’ and The Grace.